Welcome to LA Builders, the complete building and landscaping company. 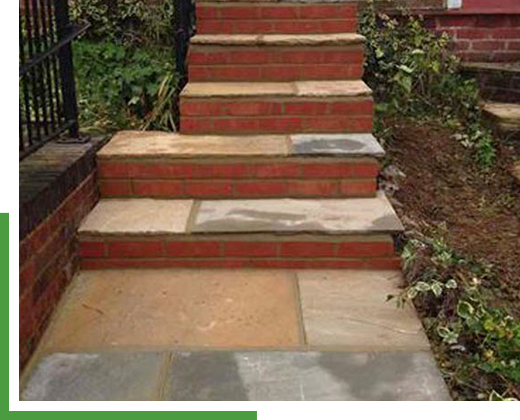 Based in Banstead, we provide a range of hard landscaping services in Epsom, Reigate and the neighbouring areas. 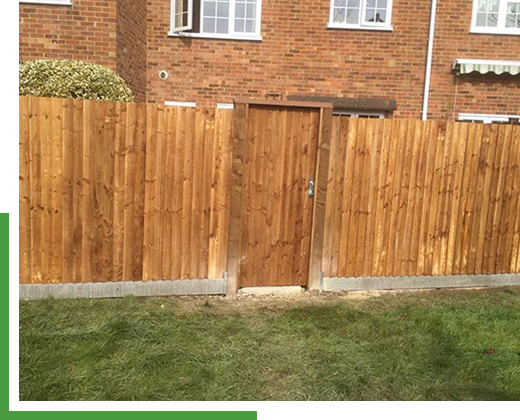 Whether it’s patios, driveways or fencing, our highly experienced and qualified team provide outstanding results for domestic and commercial clients across Surrey and the South East. Since our inception in 1980, we’ve built a formidable local reputation as a trusted builder and landscaper. As a family-owned business that delivers traditional customer service and upholds its original values, this is an achievement that makes us incredibly proud. Due to this reputation, we receive substantial levels of repeat business in the Banstead, Epsom and Reigate areas. In addition to this, the quality of our patios, driveways and fencing allows us to welcome even more new customers year after year. If you need a reputable builder with liability insurance to the value of £5m, please don’t hesitate to call us on 01737 373943 or 07958 799469. We unconditionally guarantee all workmanship for a full ten years. In our position as a locally trusted builder, we also accept storm and insurance work. For the ultimate peace of mind, our customers in Banstead, Epsom, Reigate and the wider Surrey areas can rest assured that we fully comply with current Health and Safety legislation as well as our own strict quality standards. As a customer-focused builder, we understand that our customers and clients are the most important people in our business. We work to their requirements at all times, ensuring that we communicate our plans and timescales openly and in advance. We believe that you’ll struggle to find another independent builder in the Banstead, Epsom, Reigate areas to match us for customer care. Our location in Banstead gives us convenient across to major road routes and towns throughout Surrey and the South East of England. 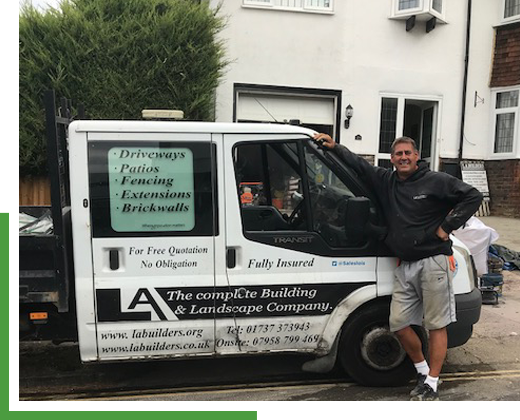 This enables LA Builders to offer a prompt and responsive service across the surrounding areas of Epsom and Reigate, allowing us to meet the needs of our customers as soon as possible. All Extensions, Driveways, Brickwork and Landscaping are professional installed at fair, transparent prices that are amongst the most competitive in our marketplace. We can arrange a free site survey and a no-obligation quotation at a time to suit you. A really good tradesman and got good ideas in brick work. Made a very good job, really pleased and would recommend to others.